This idea: Chat with colleagues and move around an office or warehouse without leaving your home. 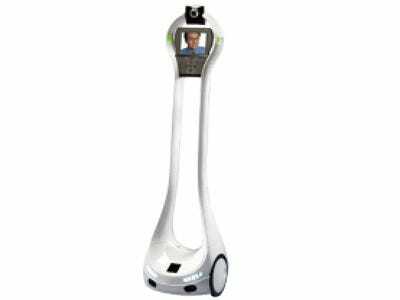 Known as a telepresence robot, the VGo robot is a mobile device equipped with microphones, a video screen, and camera. Through Wi-Fi and broadband networks, users can control the VGo robot with a PC or laptop even if human and robot are in different states. The robot costs $6,000 and includes a $100 monthly service fee. Why it’s brilliant: Using a telepresence robot can help companies be more productive and reduce travel expenses. The VGo robot and similar robots lets employees communicate with clients and other staff in a way that is more personal than with traditional video conferencing devices. Although there is still no replacement for actual face-to-face communication, these robots take telecommuting to a whole new level. It might also mean “Rise of the Machines” is just around the corner.